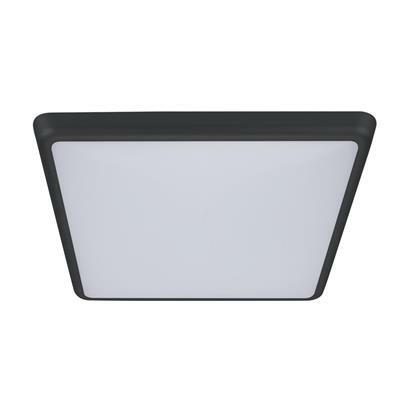 The SOLAR-SQR range of surface mounted LED ceiling lights to feature a simple, round and unobtrusive design while providing a 120° beam of uniform light output through the use of high-intensity SMDs (Surface Mounted Diodes). The SOLAR-SQR is constructed from polycarbonate and rated at IP54, making it ideal for usage in damp locations and in dwellings located close to coastal areas. SOLAR-SQR LED ceiling lights are available now with TRIO, the added option of changing the colour temperature output of the downlight with a dipswitch at the back of the fitting. All models come complete with driver, (fully dimmable with the Domus dimmer series) have a lifetime of 40 000 hours and are backed by our Three Year Replacement Warranty.